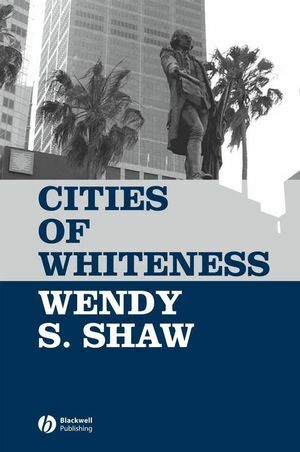 This groundbreaking book brings the study of whiteness and postcolonial perspectives to bear on debates about urban change. Wendy S. Shaw is a Senior Lecturer in Geography at the University of New South Wales. Her research interests include the meanings of heritage in Australia and other Pacific places, the impacts of high-rise developments, and the status of Indigenous peoples in Australia and around the world. 1. Encountering Cities of Whiteness. Cities as Cultural Constructions - Gentrification and Urbanism. The Birth of Whiteness Scholarship. From Dangerous to Endangered City. Securing Whiteness in the Paradoxical City. 3. 'The Good Old Days'. Architectures of Escape 1: Into the Past. 4. Cosmopolitan Metropolitanism (Or The Indifferent City). Manhattan Dreaming (in Sydney Australia). Architectures of Escape 2: Sydney's SoHo Syndrome. The End of (Cities of) Whiteness?